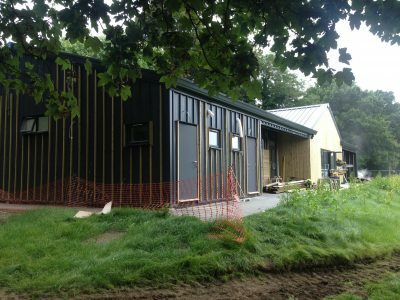 Construction of the Langton Green Sports Pavilion is entering the final stages. The “stealth” building is being transformed with the application of the timber cladding, softening the appearance of the grey building into the rural setting. The new pavilion will provide high quality changing facilities for players and officials, alongside an impressive function area with toilets and kitchen.